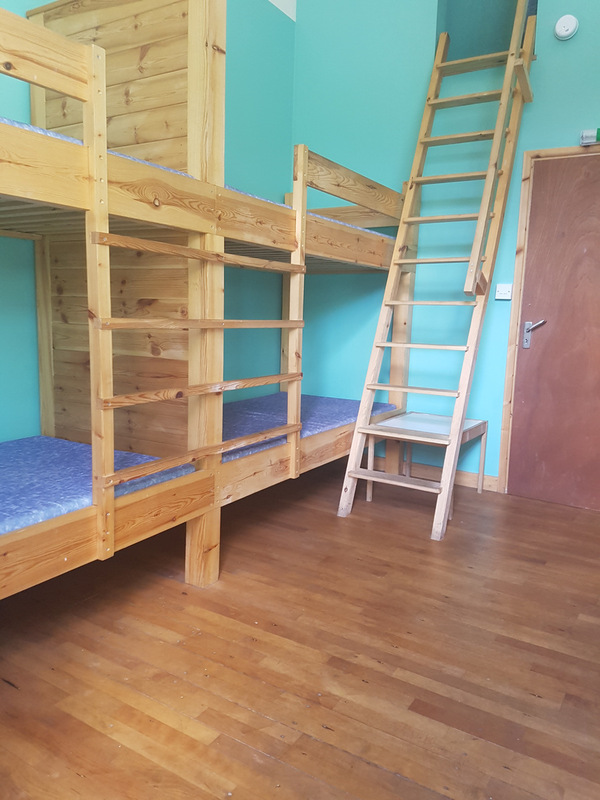 We’ve had a few comments from bunkhouse groups saying they were surprised by the size of the place, even with all the photos we have. So with this in mind we decided to make a couple of walk around videos of the grounds and inside the bunkhouse. 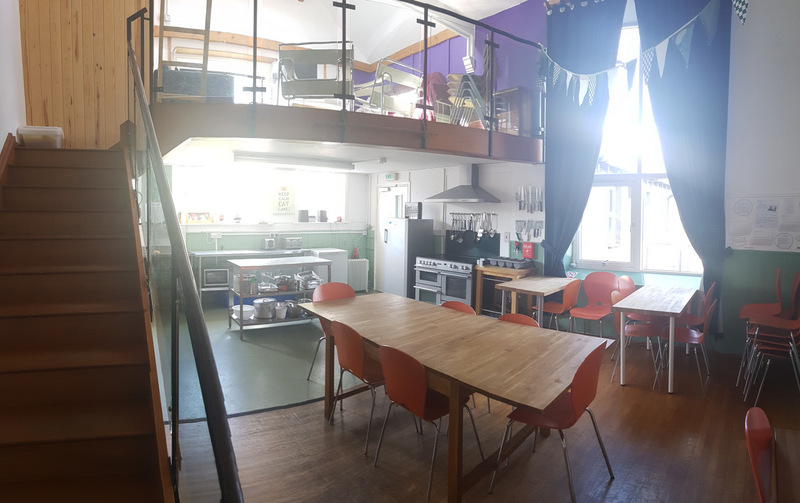 Lowick School Bunkhouse really is a great entertaining space – it works really well for parties who want a spacious communal kitchen and eating area as well as flexibility to hang out with 3 different spaces to chat, read, relax or have fun. The main lounge is a multi-functional space with projector and screen, whiteboard, sofas, table football, stereo and surround sound. The bunkhouse also enjoys a 2nd lounge with a dvd player, sofas and a wii. 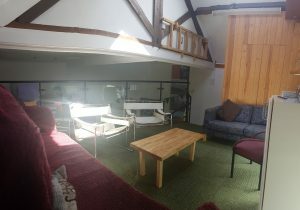 This lounge is right above the kitchen dining area so family groups can entertain the children up there while the adults enjoy their wine and cheese around the big table. 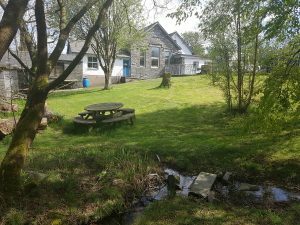 Finally there is the outside space which is a lovely grass slope leading to a tiny gentle stream, trees and firepit area with bbq and picnic table – play about with rocks in the stream, have a go at climbing the big tree (at your own risk!) 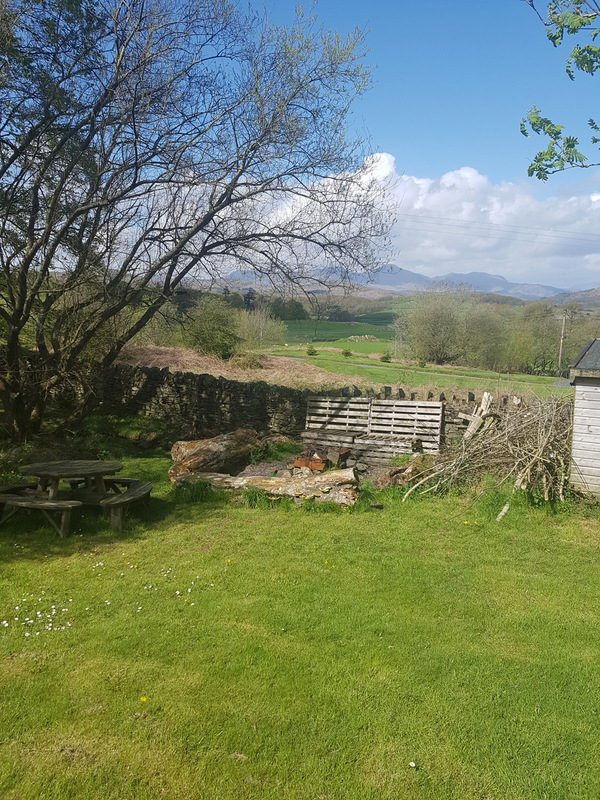 or just sit by the fire and enjoy the mountain view. 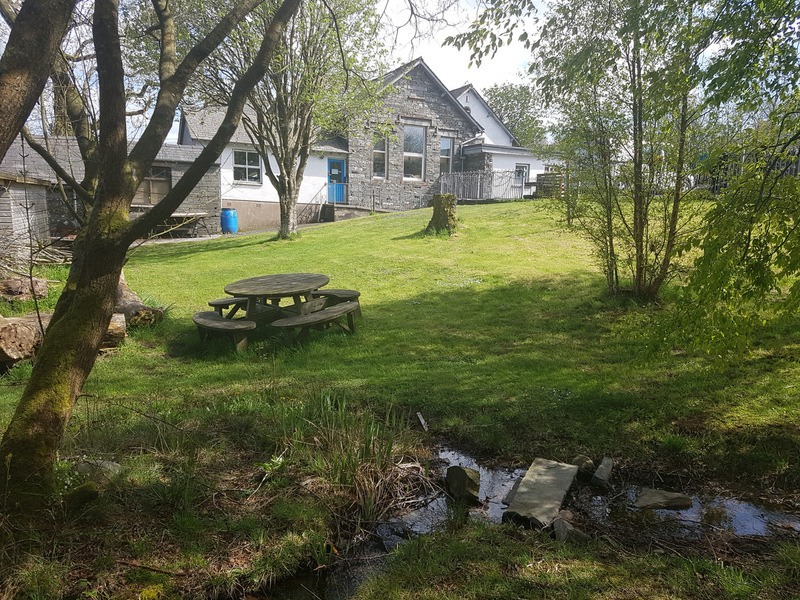 It really is a great space for groups of all types, from families to stag and hen parties, Lowick School Bunkhouse offers flexibility for a relaxed Lake District getaway.